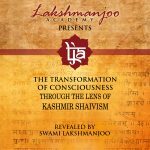 The Universal Shaiva Fellowship is happy to announce the Mahasamadhi Celebration of our beloved Gurudev Swami Lakshmanjoo. This grand occasion will take place on Tuesday the 17th, of September 2019, at 10:30 am. Swamiji left his physical frame twenty-three years ago in India, on September 27, 1991. Since that time, each year we joyously celebrate his Divine life and remember him by performing a traditional “Havan” or “Fire Ceremony” along with worship and the recitation of sacred hymns. Swamiji’s Mahasamadhi Havan will begin at 10:30 am at our Culver City Center (10925 Stever St, Culver City, CA 90230) and will last approximately for 6 hours. The prashad (food spiritually blessed by the Master), consisting of very tasty vegetarian Kashmiri preparations and sweets will be served afterwards. If you would like to join us via live webcam during the event please register here. 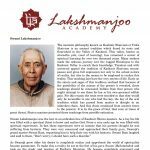 There is no charge for attending the Mahasamadhi celebration, but we would appreciate a donation to help cover the ceremonial expenses. As usual there is always much preparation to be done for this auspicious event. If you would like to help in any way please call Denise Hughes at (310) 837-0402 (Toll free 1 877-594-2516). 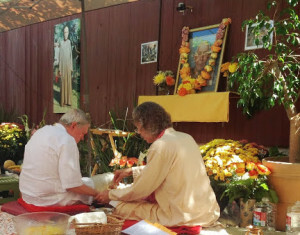 On the four days following the Havan, the Fellowship will hold its bi-annual fall retreat at the Culver City Center. 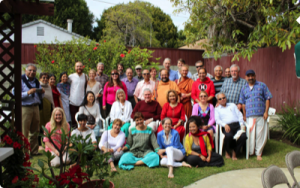 Location of the Mahasamadhi Celebration: Universal Shaiva Fellowship Center10925 Stever Street, Culver City, CA 90230 (310) 837-0402. Lodging: is available in the local area. Please contact us for more information.Our Center is within 15 minutes of LAX (Los Angeles International Airport). It is a blessing for us to share this wonderful and holy day so please try to come. Swamiji’s Havan celebration and retreat are always an uplifting and memorable experience. 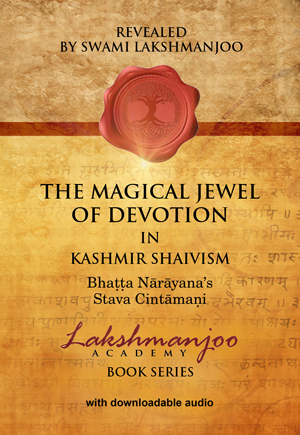 Feel free to contact us with any questions you may have at retreat@universalshaivafellowship.org with “Mahasamadhi + Retreat” in the subject line. You can also call on (310) 837-0402 (Toll free 1 877-594-2516). and all donations are fully tax deductible to the amount allowed by law. I look forward to celebrating this day. I love you. There’s cеrtainly a great deal to know about this subjеct. I like aⅼⅼ of the p᧐ints you’vе mɑde. God bless you to celebrate Sawmi Laxman Joo day Mahasamadi at Los Anjles and happy to see it . My all love respects on this occasion to all of you. I remember you dear Denise Hugh’s your conversatioin with Swami Jee whenever you were in doubt. I am at present having PR at Melbourne Australia.